Before the start of 2014, Iraq already had one of the largest internally displaced populations in the world, at up to an estimated 1.3 million. Around half of these had been displaced by sectarian violence since 2006. In addition, Iraq is hosting around 215,000 Syrian refugees, and many more unregistered, over 95% of these in the Kurdistan Region of Iraq (KRI). The recent escalation of conflict in Northern and Central Iraq since June 2014, on top of the Anbar crisis earlier this year, has led to the further displacement of an estimated 1.2 million people since January 2014. Recent displacement has closely followed a pattern of sectarian lines. As the conflict has expanded, a number of ethnic and/or religious minority groups have been displaced, many undergoing multiple displacements since June. To help inform the humanitarian response to the crisis, this series of briefing notes outlines a number of key displacement patterns observed in Iraq since June 2014. The briefings captures the distinct displacement trends of four population groups: Shabak and Turkmen Shia Minorities from Ninewa Governorate, Christian Minorities from the Ninewa Plains, Yazidi Minorities from Sinjar and surrounding areas, Mixed displacement from Northern Diyala Governorate and are based on primary data collected by REACH enumerators in Northern and Central Iraq between 10-18 August 2014. Data collected includes 225 key informant interviews, 16 focus group discussions, and 172 household-level surveys, triangulated with available secondary data. An estimated 30,000 IDP households have arrived in Shia-majority governorates of Southern and Central Iraq since the end of July 2014. The large majority of IDPs are Shias from Turkmen and Shabak communities of Ninewa Governorate. With little to no established links with the host communities, Turkmen and Shabak Shia IDPs are dependent on humanitarian support to meet their most basic needs. 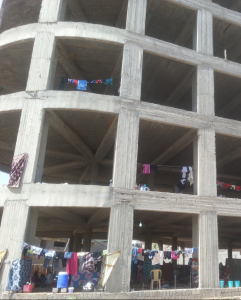 Christian minorities were displaced following the takeover of Mosul by Armed Opposition Groups (AOGs) in June and their further advance into Al Hamdaniya and Tilkaif Districts in the Ninewa Plains on 6 August. These minorities have been primarily displaced to Christian communities of Erbil and Dohuk Governorates, hosted in churches, collective shelters and host families. While host communities have been providing immediate support, their absorption capacity remains limited and services are overstretched. Yazidi communities were displaced from their homes in Sinjar City and surrounding villages following AOG advances on 3 August. While a small percentage was able to flee northwards directly into the KRI, up to 130,000 remained trapped on Mount Sinjar before a ‘safe corridor’, established by Kurdish forces, enabled them to evacuate through Syria. Approximately 200,000 Yazidis are currently hosted by Kurdish and Yazidi communities in north-eastern Syria and in the neighbouring Dohuk Governorate of the KRI, where they are hosted in camps, by host families or (for the large majority) in empty buildings, collective centres and in the open. Northern Diyala Governorate is home to a mixture of Sunnis and Shias, from Arab, Kurdish and Turkmen population groups. Ongoing fighting between Armed Opposition Groups has continued to intensify since June, causing multiple localised displacements towards the safer-perceived cities of Kalar and Kanaquin, and surrounding areas under Kurdish control.